Bukhari, Shakil-ur-Rehamn, Ahmad & Naeem. Pakistan Journal Of Medical Sciences, 32(1), 31-34. Impingement of a cervical nerve root that causes radiating neurological symptoms is referred as radiculopathy. This condition is generally managed conservatively by physical therapy treatment, which often incorporates manual or mechanical cervical traction. Thirty-six participants with radiculopathy were randomly placed into either a manual traction group or mechanical traction group. Mechanical traction was applied for 10 minutes at 10-15% patient body weight with a 10 second pull and 5 second rest. Manual traction was applied for 10 minutes with 25 degrees of neck flexion a 10 second pull and 5 seconds rest. Both treatments included segmental mobilization of C3-C7 along with stretching and isometric exercises, following traction. Treatments were completed 3 times a week for 6 weeks. 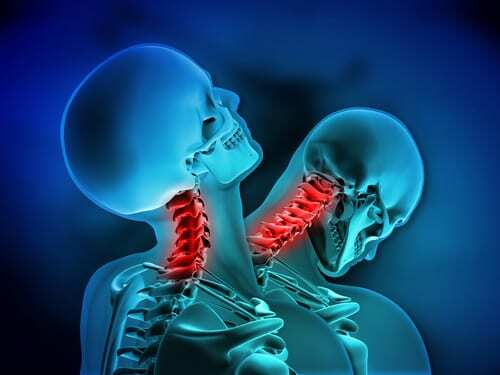 The outcomes were measured using the neck disability index (NDI) and the numeric pain rating scale (NPRS). Statistically both groups were significant for decreasing pain and disability. However, clinically, the group treated with mechanical traction revealed a greater improvement in pain and function. Mechanical traction group had an average pre pain score of 6.26 and an average post pain score of 1.43, while the manual traction group had a mean pre pain score of 6.80 and a post pain score of 3.85. Disability scores for the mechanical traction group decreased from a mean pre score of 24.42 to a mean post score of 7.26, however the manual traction group only decreased from a mean pre score of 21.92 to a mean post score of 12.19. The study concluded that mechanical traction is clinically more affective at decreasing both pain and disability in patients with cervical radiculopathy. There are many patients who prefer the inclusion of traction in their treatment plan. However, are there significant differences in patient outcomes between the uses of manual versus mechanical traction? The goal of both traction methods is to take pressure off the spine by stretching muscles and ligaments in order to distract the articular surface (Moeti and Marchetti, 2001). In this study, mechanical traction force was set at 10-15% of the subject’s body weight. Like Bukhari et al. mentioned, it is difficult to gauge exactly how much pull the therapist is using during manual traction and therapist fatigue can be a limiting factor. Therefore, mechanical traction seems to be the more consistent treatment option. Additionally, considerations need to be made for patients who may favor the idea of manual traction directly from a physical therapist. We have been taught that if a patient believes a treatment is going to work, positive results are much more likely. Therefore, patient preference is also a great indicator of which treatment will ultimately provide better results. The use of traction is speculated to limit adhesions in the dura, as well as, relieve compression of the nerves (Moeti and Marchetti, 2001). This is the anticipated purpose of mechanical and manual traction, which if achieved can led to successfully decreasing pain and disability regardless of the method chosen. Either choice appears to be beneficial for patients experiencing cervical radiculopathy, however, according to Bukhari et al., mechanical traction may be the more reliable choice. Bukhari, S. I., Shakil-ur-Rehamn, S., Ahmad, S., & Naeem, A. (2016). Comparison between effectiveness of mechanical and manual traction combined with mobilization and exercise therapy in patients with Cervical Radiculopathy. Pakistan Journal Of Medical Sciences, 32(1), 31-34. Moeti, P., & Marchetti, G. (2001). Clinical outcome from mechanical intermittent cervical traction fro the treatment of cervical radiculopathy: a case series. Journal of Orthopedic & Sports Physical Therapy, 31(4), 207-213.